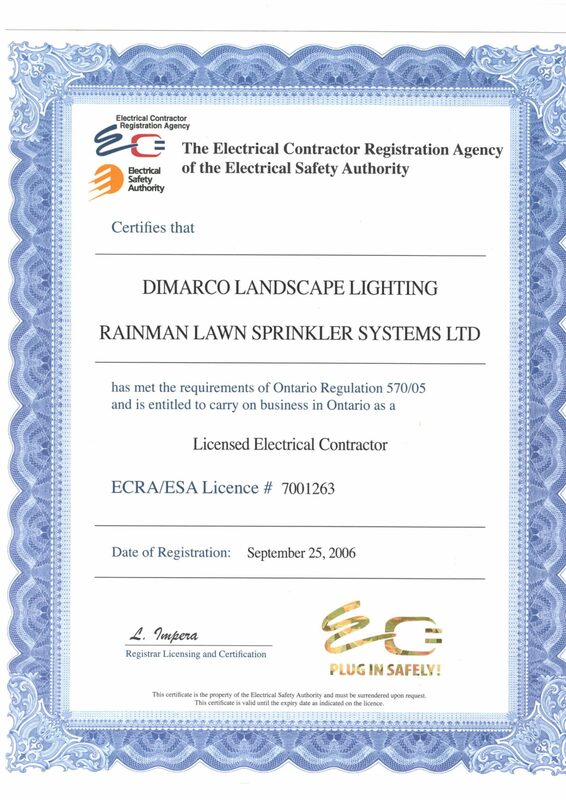 A Division of Rainman Lawn Sprinkler Systems LTD. 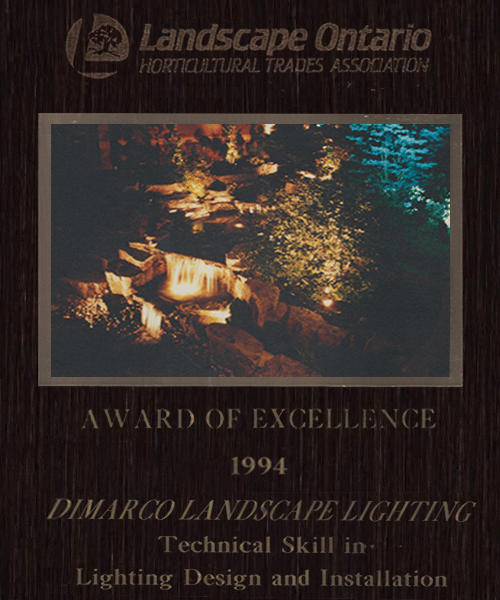 Designing Superior Landscape Lighting Systems Since 1989. 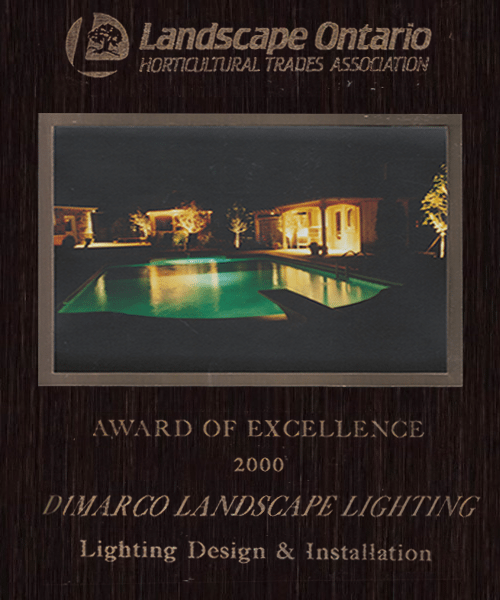 Designing a lighting system is an art which we have perfected over the years. 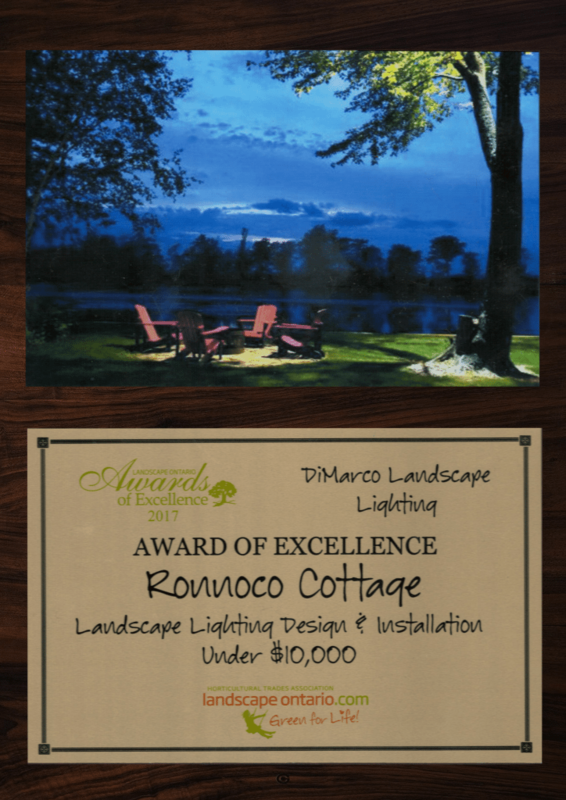 Frank DiMarco approaches his lighting designs with a lot of thought and passion. He puts his heart and his soul in them. 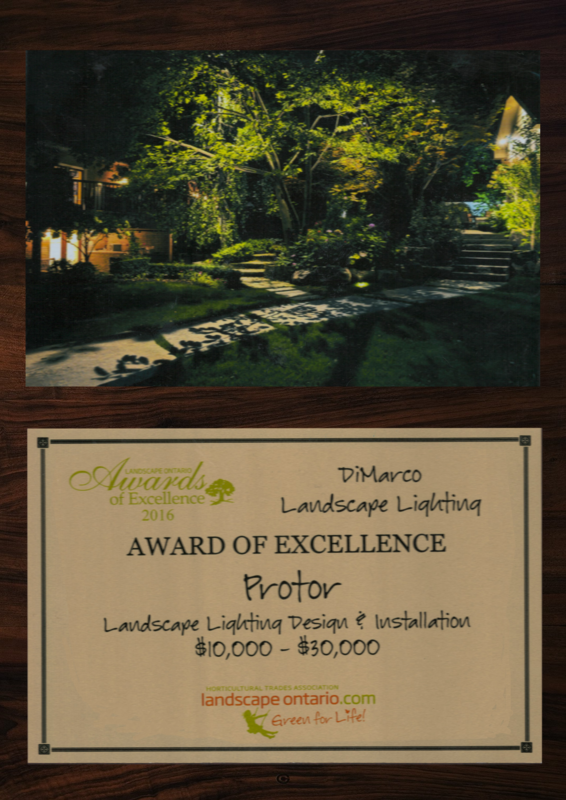 For this reason he has won over 30 Awards of Excellence for his landscape lighting design & installation. Every year we train our staff with the most current installation techniques and the most current products on the market. We incorporate the latest LED technology in our installations. We install above industry standards and provide one of the best warranties in the business. 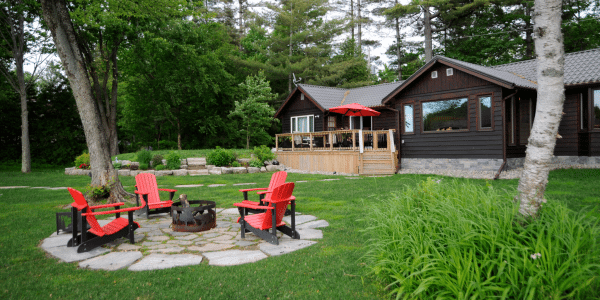 We follow ESA and Landscape Ontario Lighting Standards and we are one of the few contractors that install our low voltage lines 6-8``, in conduit, for superior longevity. We have been serving the community for over 30 years. Our clients always come back and refer us to their friends. 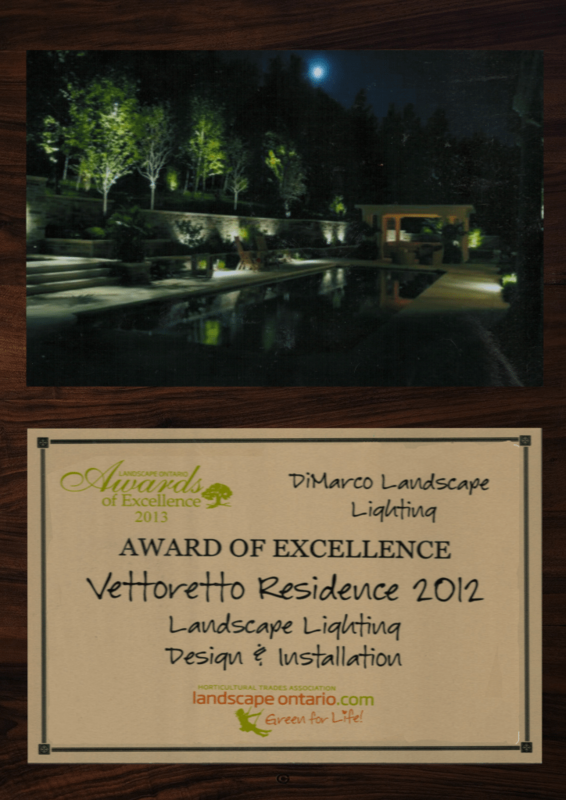 We owe this success not only to our high quality work, but also to our exceptional customer service. But you don't have to take our word for it! 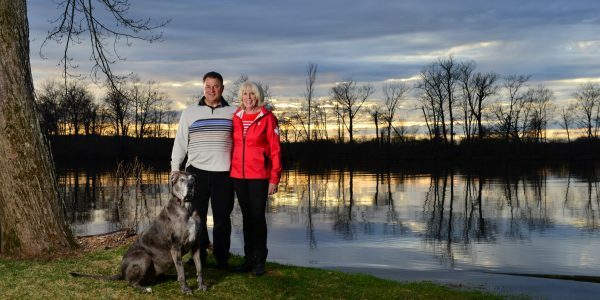 Just read the numerous testimonials we have received over the years by clicking below. Click on a slide to see more! 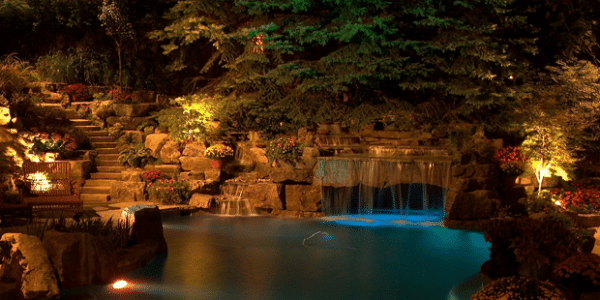 Your landscape lighting system will be installed by qualified and certified outdoor lighting specialists, according to ESA Standards as well as Landscape Ontario’s Lighting Standards. . We have over 30 years of experience with a Master Electrician and Licensed Electricians on staff. We are committed to the highest quality of material, design, installation and service. 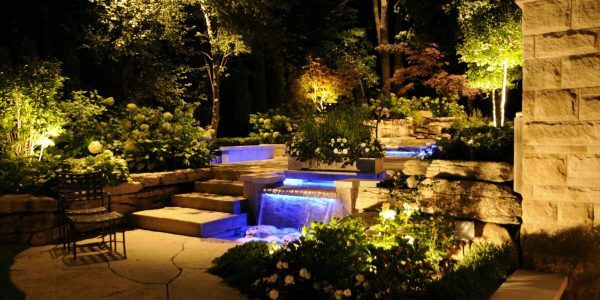 We will install an outdoor lighting system that will be creative, unique, and distinctive, adding to the splendor of your property. To keep your lawn and shrubs at their peak beauty, you need to get water into the ground where your plant's root system can absorb it. 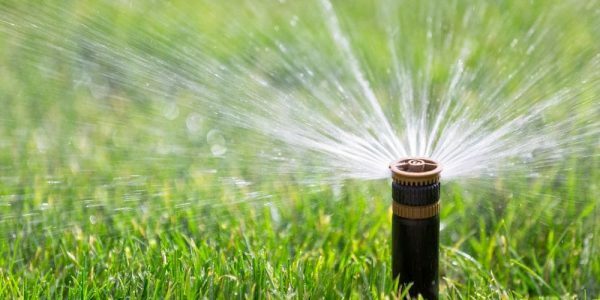 Our trained professionals will install the most advanced irrigation system for you. We will get the right amount of water to your plants, keeping your lawn and shrubs healthy and beautiful. 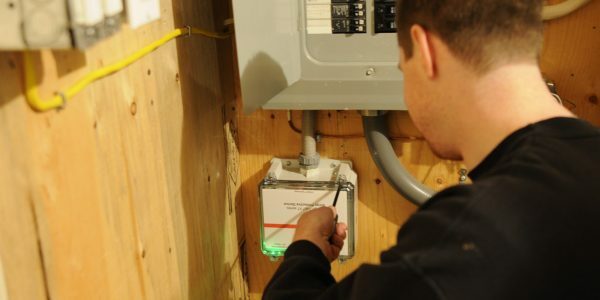 Our electricians are licensed and accomplished tradesmen who are experts in commercial and industrial electrical services. 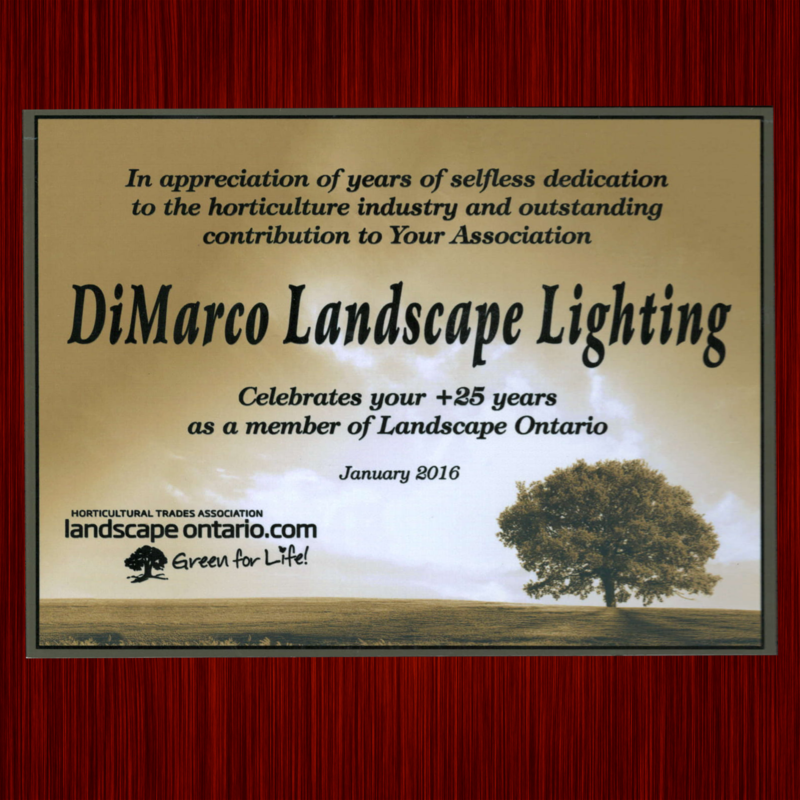 We provide a full service on landscape lighting systems. LED upgrades, redesigns and repairing existing services. We offer the most comprehensive range of sprinkler service and repair. We provide a full service on sprinkler systems, including opening up and closing of the systems. We also do upgrades, redesigns and repairs to the existing systems. ``The irrigation component was critical to the well being of the many plants associated with the new landscaping of the property. 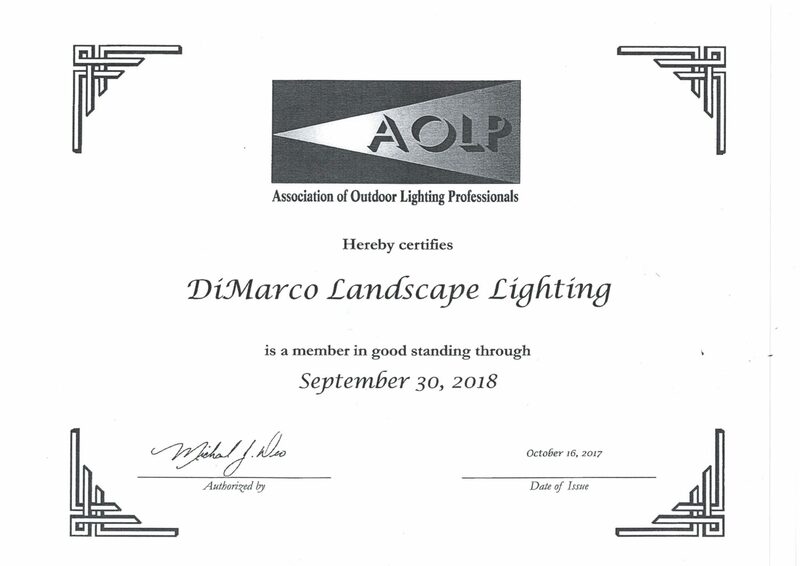 DLL made recommendations on lighting types, walked us through the placement of the lights, and when close to complete arranged a demonstration one night to show us where they were headed with the design. When finished and they flipped the switch my wife and I were completely blow away! 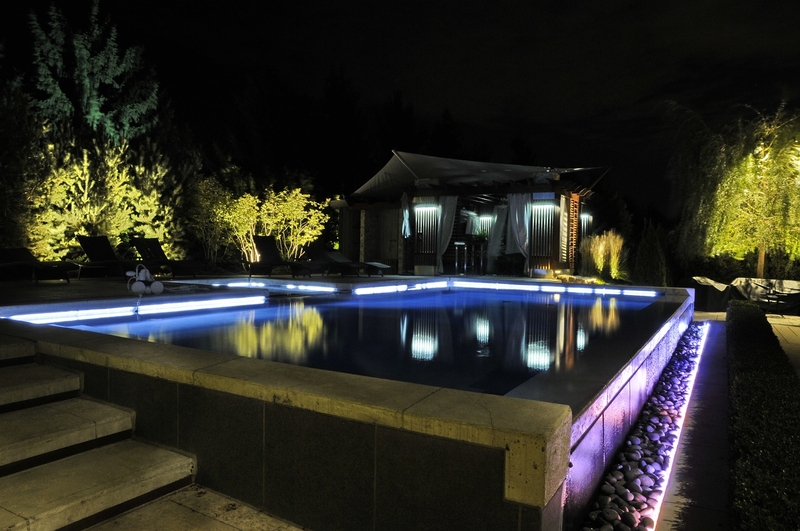 The lighting showcases the home and landscaping beautifully and the architect concurs! From day one DLL instilled confidence and acted professionally.